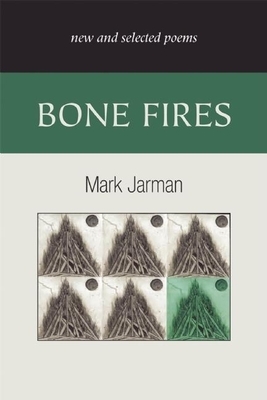 Bone Fires collects work from over thirty years and charts Mark Jarman's spiritual development as he grows from a poet of childhood and nostalgia through adulthood and the struggles of faith. The section of new poems includes work published in American Poetry Review, Georgia Review, The New Republic, Poetry, and in the yearly anthology Best American Poetry. A landmark collection from one of our nation's most distinguished poets. Mark Jarman is the author of nine books of poetry: North Sea (1978), The Rote Walker (1981), Far and Away (1985), The Black Riviera (1990), Iris (1992), Questions for Ecclesiastes (1997), Unholy Sonnets (2000), To the Green Man (2004), and Epistles (2007). He has also published two collections of his prose, The Secret of Poetry (2000) and Body and Soul: Essays on Poetry (2001). Jarman is an elector of the American Poets' Corner at the Cathedral Church of Saint John the Divine in New York City. His awards include a Joseph Henry Jackson Award for his poetry, grants from the National Endowment for the Arts in poetry, and a John Simon Guggenheim Memorial Foundation fellowship in poetry. His book The Black Riviera won the 1991 Poets' Prize. Questions for Ecclesiastes won the 1998 Lenore Marshall Poetry prize from the Academy of American Poets and The Nation magazine. He is Centennial Professor of English at Vanderbilt University. Jarman’s spiritual questions intersect within fact, are inseparable fromhis profound regard for the natural world. . . . His just-released collection, Bone Fires: New and Selected Poems, includes recent poems that regard the confounding violence and beauty at the center of life. "Jarman, who teaches at Vanderbilt University, writes about family life, memory, grace, the night sky and other mysteries divine."